NinjaFirewall (Pro/Pro+ Edition) v3.3 new user interface. 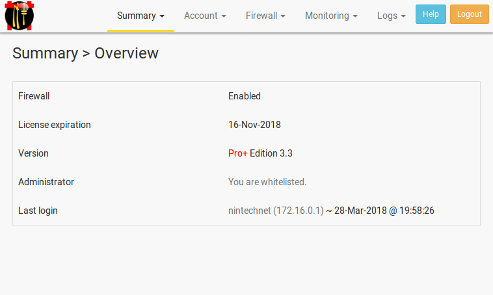 NinjaFirewall (Pro/Pro+ Edition) v3.3 has a brand new user interface. It is responsive, makes use of Bootstrap and jQuery, and looks pretty much like our website user accounts section. You can even customize it (see below). Why a new user interface? 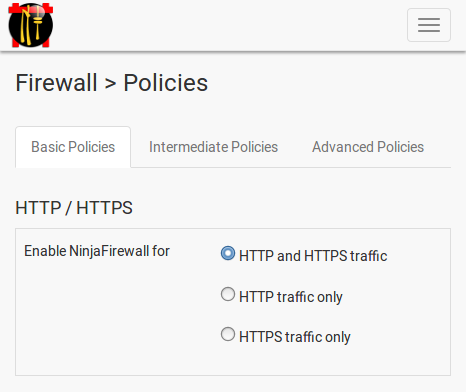 Since its first release, in December 2011, NinjaFirewall has been continuously improved: performances, security rules, filtering engine, portability (WP/WP+ Edition) etc. But there’s one thing we never updated, the user interface. It was time to change that. The left menu was replaced with a top navigation bar in order to maximize the width for portable devices. You don’t need to save your changes before switching to another tab. You can switch back and forth between the tabs, change options and then click the “Save” button afterwards. That’s all. 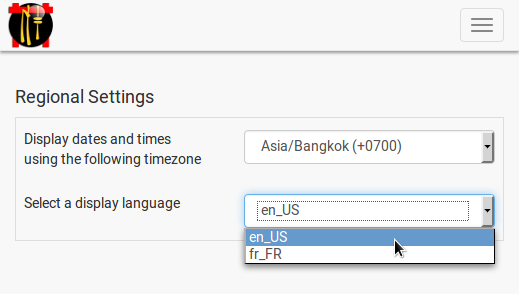 All the rest is identical to the previous versions because we know our users don’t like changes. Neither do we! Previous NinjaScanner v1.2 introduces the quarantine sandbox. Next NinjaFirewall and the General Data Protection Regulation (GDPR). 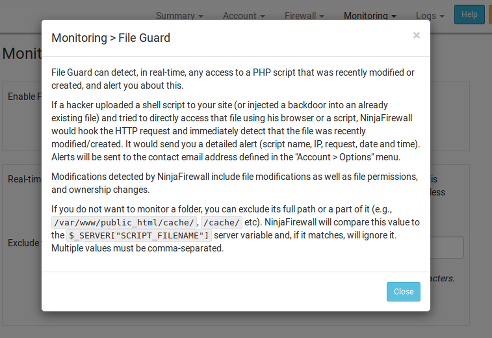 NinjaFirewall (WP+ Edition): Web Application Firewall for WordPress. NinjaFirewall (Pro+ Edition): Web Application Firewall for PHP applications. NinjaScanner: A powerful antivirus scanner for WordPress. NinjaRecovery: Malware removal and hack recovery. Zero-day vulnerability in WordPress YellowPencil Visual CSS Style Editor plugin actively exploited. WordPress Yuzo Related Posts plugin vulnerability massively exploited. 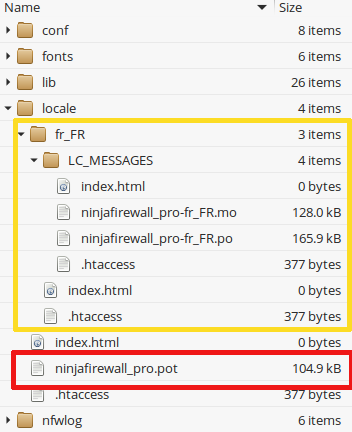 NinjaFirewall (WP Edition) adds PHP backtrace to email notifications. Another day, another zero-day: WordPress Social Sharing Plugin Social Warfare under attack. Critical zero-day vulnerability fixed in WordPress Easy WP SMTP plugin. Critical vulnerability in WordPress Kiwi Social Sharing plugin actively exploited. Critical vulnerability in WP GDPR Compliance plugin massively exploited. Arbitrary file upload vulnerability in WordPress Ultimate Member plugin. Misuse of WordPress WP-CLI could leak user passwords.